Well, Microsoft held a massive Windows 10 (no, not Windows 9) event recently, giving users an in-depth look into the latest operating system coming out of the company. It’s no surprise to anyone that Windows 8 fell short with customers. The touch-based operating system worked well on touchscreen devices, but those features didn’t resonate well with desktop and laptop users, who felt left out by Microsoft. Windows 10 aims to change that by giving a perfect blend of both traditional desktop functionality and touchscreen capabilities. Spartan Browser will have an all new look and feel along with a streamlined UI that seamlessly integrates with the design language of Windows 10 and focuses on the page’s content. Spartan Browser will have built-in support for PDF files and will allow you to save and mark up PDFs online and offline. Spartan Browser will not be Microsoft’s first insider build and it will also make its way to smartphones later on. Spartan Browser will have a new rendering engine. Spartan Browser will have a new note-taking mode that will allow you to use a stylus or a finger to express your thoughts right on the canvas of the web. Cortana comes built-in, ready to give you information about web pages you’re looking at and answer any of your questions. Spartan Browser will take the content in your reading list and save it online. This should be good news for Microsoft fans as Internet Explorer has been rather disappointing lately, especially when compared with other browsers like Google Chrome, for example. Another Halo-themed addition to Windows 10 is Cortana. Cortana is the new personal assistant for Microsoft 10. Microsoft has been telling us about Cortana for the last few months, but now they’ve finally shown it to us. Cortana will be available for Windows smartphones, PCs and tablets. During the Windows 10 event Belfiore showed how Cortana could be used on the desktop but also cautioned that it was an early build being shown and that it may not reflect the final version. Cortana will give you notifications on the bottom of your screen. You will be able to launch Cortana by speaking out loud just like you can on Windows Phone. Based on the demo it appears as if Cortana on the desktop will work exactly the same as it does on the phone You will be able to add and remove things from Cortana’s “notebook”, which allows you to control the types of information she knows about you. Some new features included will be focused towards PC users, like asking Cortana to pull up PowerPoint slides or play music from your computer and even search for files. Probably one of the coolest things that was debuted during the Windows 10 event was Microsoft’s new hologram technology. Microsoft bills it as an immersive holographic experience and is calling, for the time being, Windows Holographic. 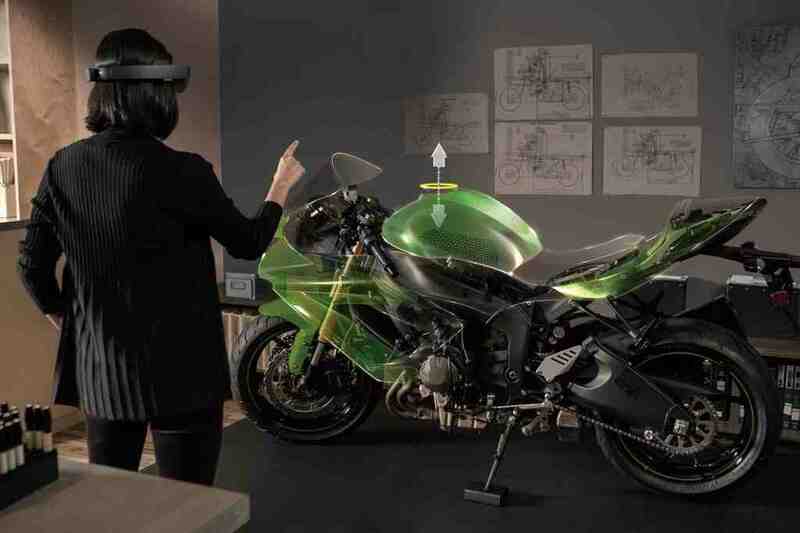 The tech works through a device known as the HoloLens and the idea is a real-world pop-up immersive experience that the user will achieve via a pair of goggles. The holographic environments are supposed to extend into the world around you. This tech is similar to what other companies are doing, though this product appears to be the first polished type of immersive, full-3D augmented reality headset. This technology blends the physical world with the digital for an augmented reality. 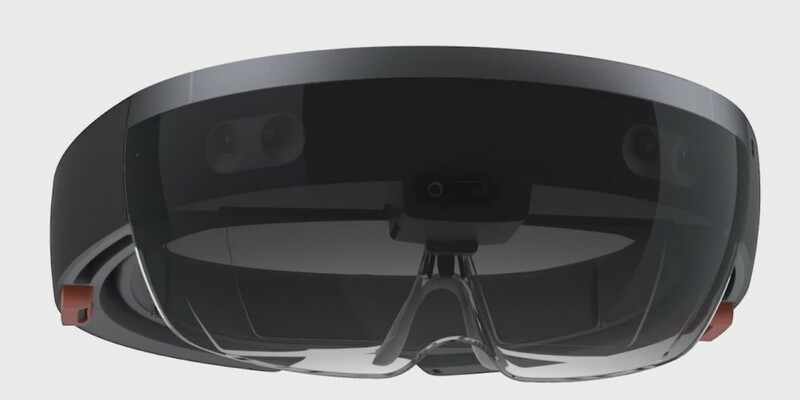 HoloLens has a see-through lenses, spatial sound and motion sensors to capture information about the environment. It comes with a built-in, high-end CPU and GPU and has a dedicated “holographic processing unit” that understands gestures, voice, position positional mapping. Unlike other devices, this one is a standalone device much like Google Glass. It looks as if HoloLens is incorporating hand motions similar to those used with Kinect, which is what allows you to interact with the holographic images. The video that debuted during the event gives a better picture of the possibilities of this device and, should it work like it does in the video, this will definitely be an incredible device. Finally, the thing that got most users talking was the fact that Windows 10, when it is released, will be available as a free download to current users of both Windows 7 and Windows 8.1. This is huge considering the fact that Microsoft usually charges hundreds of dollars for its new operating systems. This should also help users adopt the new operating system more quickly. Windows 7 is currently the most popular version of Windows on the market, despite being several years old. Windows Phone 8.1 users will also be able to upgrade to Windows 10 for free and the operating system is designed to work with all Microsoft products, including phones, PCs, tablets and even the Xbox. The free upgrade offer will only be available during the first year of the operating system’s availability. Microsoft has yet to announce an official release date but it will arrive before the end of 2015. 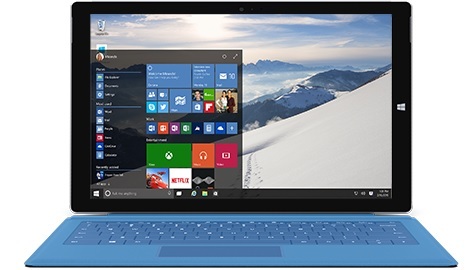 This is only the tip of the iceberg when it comes to Windows 10. There are still of ton of things to discuss about the mobile side of the operating system, including new apps and features optimized for phones, tablets and other touchscreen devices so check back soon for an update on that!